Janet McTeer joins Ozark season 2; get details on her role! The second season of Ozark of course is coming on Netflix later this year with all sorts of huge aspirations — how could it not following a critically acclaimed first season. 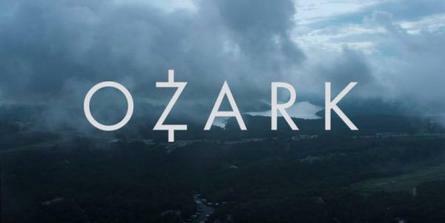 So how will Janet McTeer factor into the Ozark season 2 cast? Let’s just say that she is going to challenge the Byrde family in some surprising ways. According to The Hollywood Reporter, McTeer, who is already a part of another series at Netflix in Marvel’s Jessica Jones, is going to have a major role as a currently-unnamed attorney who will have some surprising connections to the cartel at the center of the series. What does that mean for Marty Byrde (Jason Bateman) and his wife Wendy (Laura Linney)? Let’s just say that she will serve as some sort of threat to them and cause some unexpected problems to arise. If you haven’t seen Ozark season 1 just yet, let’s keep our advice relatively simple at the moment: Watch it. Why wouldn’t you want to? If you love good, captivating drama with great characters, it’s hard to go wrong with this show. What do you think about Janet McTeer joining the Ozark season 2 cast? Be sure to share right now in the comments!